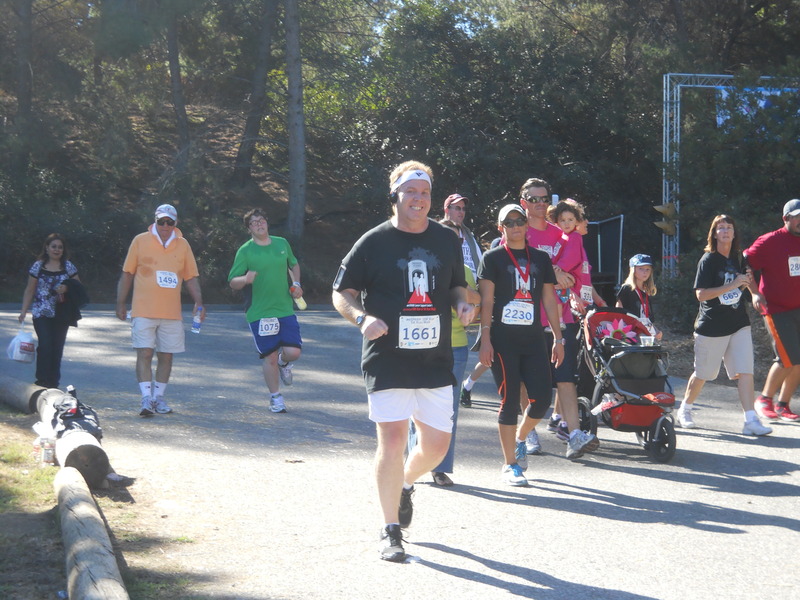 It all started January 27, 2012 when I finished the inaugural Neverland 5K fun run at Disneyland. 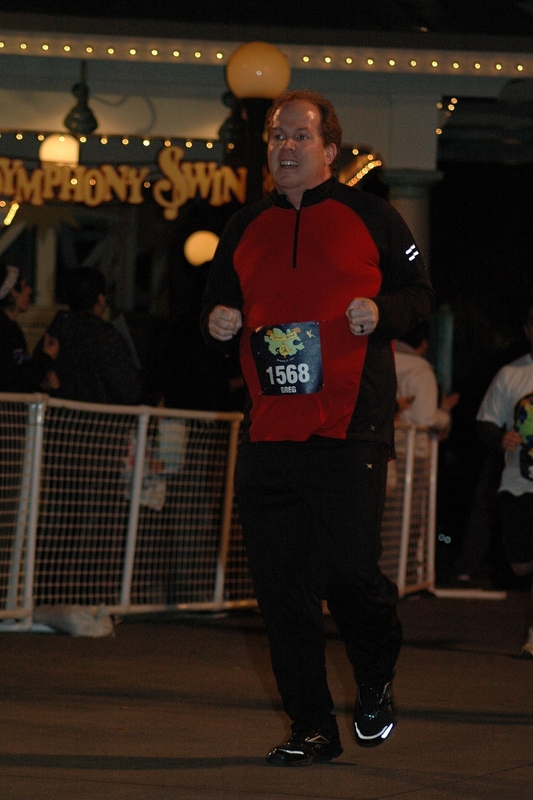 That Friday night 5K was not only my first runDisney event, but my first race of any distance. If you had told me in junior high school or even high school that I would have fun running 3.1 miles, I would have told you that you were absolutely crazy. I always dreaded the days in phys ed where we had to run even a mile for time. By college, I dreaded a new thing…the treadmill. After all, people went on the treadmill to run and I didn’t like doing that. Yet, in my Lifetime Fitness class, we had to spend time in the school’s gym once a week. So, I would do the embarrassing thing and just walk on the treadmill. Fast forward to 2007…I had met the woman I knew would become my wife and thought in my head that we would get married in the summer of 2008. By the spring of 2007, I was working steadily as a temp at the Walt Disney Company. The department I was temping for seemed more than willing to keep me as long as they could. So, I took a risk and joined a gym, not knowing if I’d be able to keep paying for that membership, or for how long. However, I wanted to lose a lot of weight and giving myself more than a year to do so seemed like a good idea. When I joined the gym, I started off by just using the stationary bike. Eventually, the elliptical machine intrigued me and I started enjoying that. However, by the end of summer 2007, I decided that I needed to run on the treadmill to lose weight. It started with a goal of being able to run 1 mile without stopping. By April of 2008, I was running 5K’s at a speed of 6.8mph three times a week! 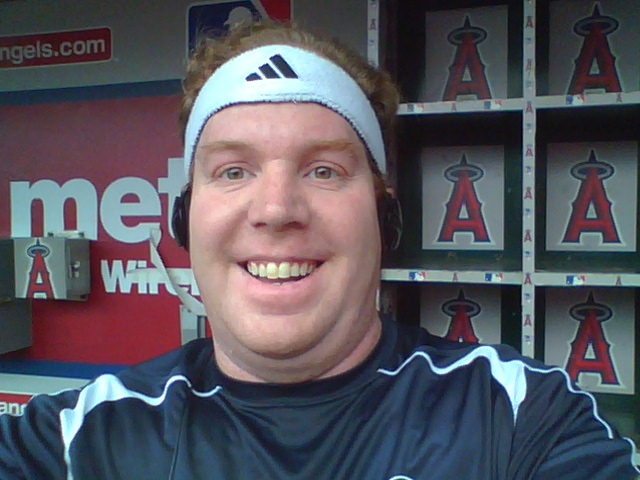 Also, by May 2nd, I had gone from weighing 254lbs to 164lbs for a loss of 90lbs! That’s what I weighed when I got engaged at Disneyland. Brooke and I were engaged for a little over a year. During that time, the busy schedule took its toll on my weight loss goals. Eventually, the weight came back. 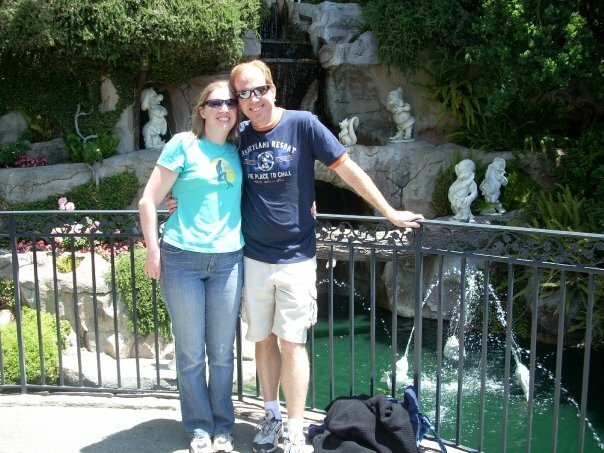 By October of 2009 (a few months after getting married), I was back over 200lbs, weighing 236lbs. I tried to get back on track at the gym. There would be months where everything would go great and I’d be really consistent and months where I would not go at all. The result was weight yo-yoing up and down. So, by the end of 2011, I was looking to try something different. 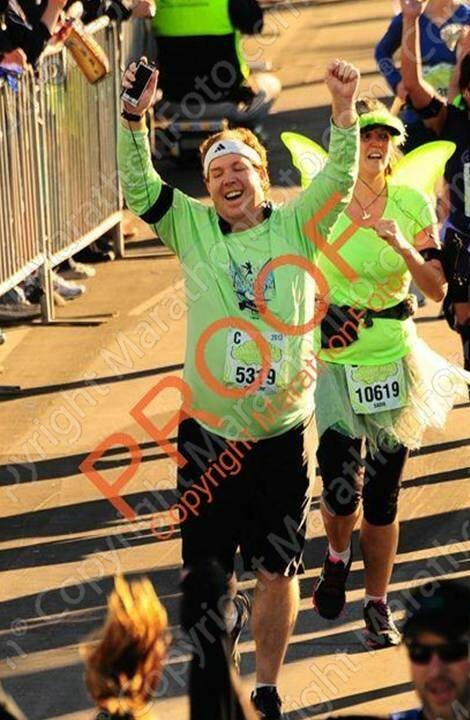 At the D23 convention, I was an ad for the Tinker Bell Half Marathon for January 2012. 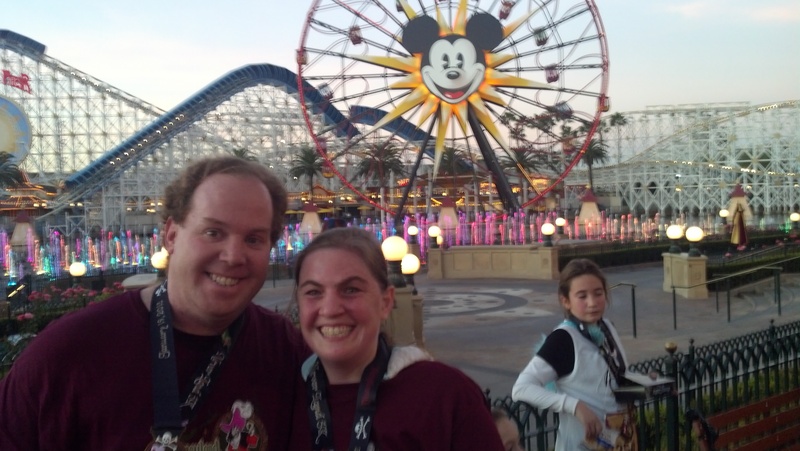 I had heard of the Disneyland Half Marathon races through Micechat.com. There was a regular poster there who seemed to go every year. This is it! I would register for the 5K race and see what would happen. At work, I saw this “Couch to 5K” plan mentioned often in emails. So, I thought I’d give it a try. The training for the race went well. I wasn’t perfect on keeping up with the “Couch to 5K” plan. However, I was doing 5K’s on the treadmill in 38 minutes (under the Disney pace requirements). I took the Friday off of the race because that’s when the Expo happened and I needed to get my race bib for the race that would start at 11pm. I was nervous about this race because I’d never done one before. Once I arrived at Disneyland, the party atmosphere helped calm me. It was cold out. However, I just wanted to get going. Unlike music concerts (the only thing I’ve worked hard to prepare for like this race), I would get to move and thought that running would help me feel less nervous. The race was great! I used a normal Disney watch for the race because I didn’t know if I’d ever want to do another race again after this. So, my finish time is nowhere close to being accurate. However, I was pleased to find that I finished in under 38 minutes in my first run off a treadmill and the race course was so fun. I was bummed that I didn’t have a camera with me because they let you take pictures backstage at Disneyland. 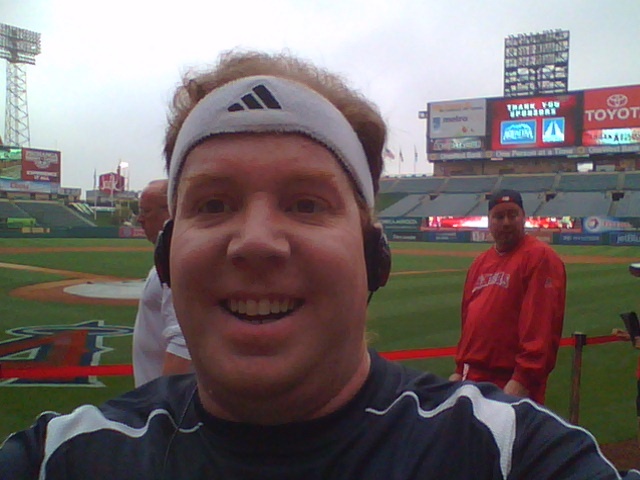 Buoyed by the fun I felt from the Neverland 5K, I signed up for the Angels 5K where we would get to run on the warning track at Angel Stadium! In that race, I was even faster! 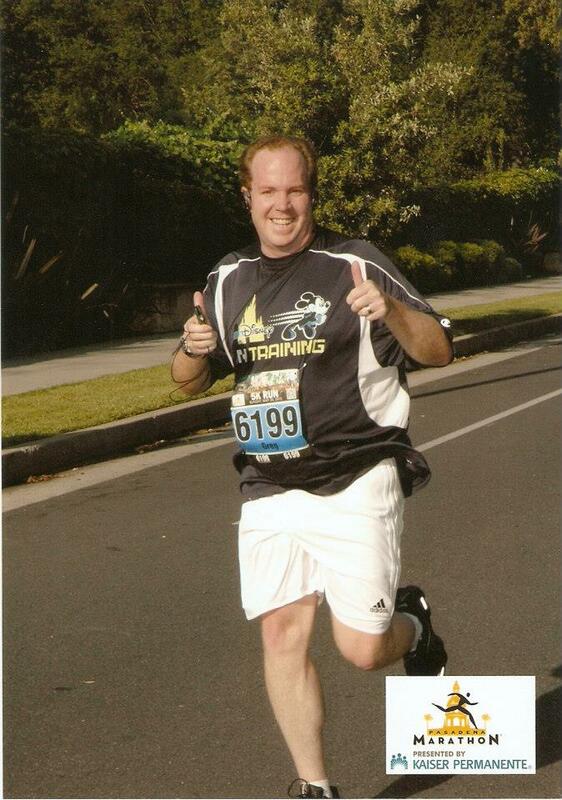 Then, I ran in the 5K race attached to the Pasadena Marathon. That race served as my 5K PR for a while. In training for that one, I really wanted to run the entire thing. I lasted almost to the half way point. Oh well. After that, it was on to a new distance…a 10K. Some of my friends lived in Cypress, California. So, I convinced them to sign up for the 5K and I signed up for the 10K. When I registered, I was excited for a new distance. However, after the Pasadena 5K, my training slacked off. I trained so little that I didn’t think I would even show up for the Cypress race. However, the night before, my friends called and were excited about their first 5K. So, I decided I’d go and just run the 5K with them. That’s what I did. It felt awful to miss a distance goal. 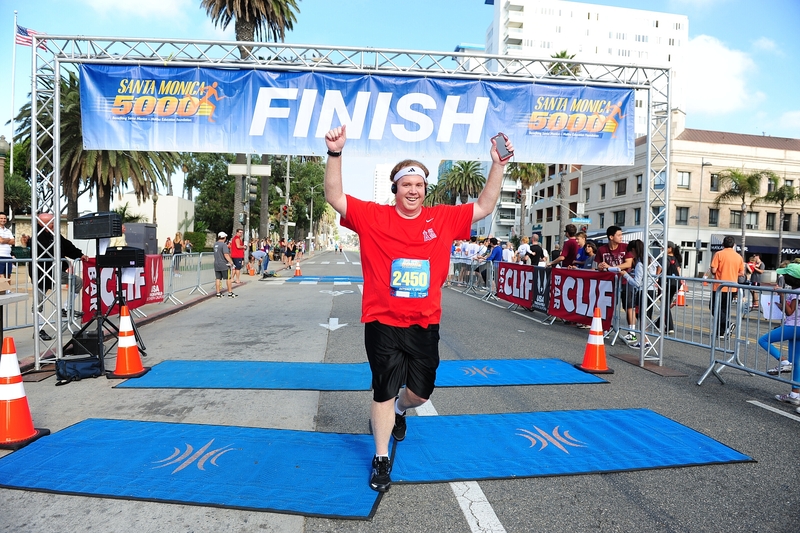 So, I registered for the Santa Monica 5000’s 10K and trained really hard for that one. It was a warm day in October for that race. Our time was delayed. However, I finished! 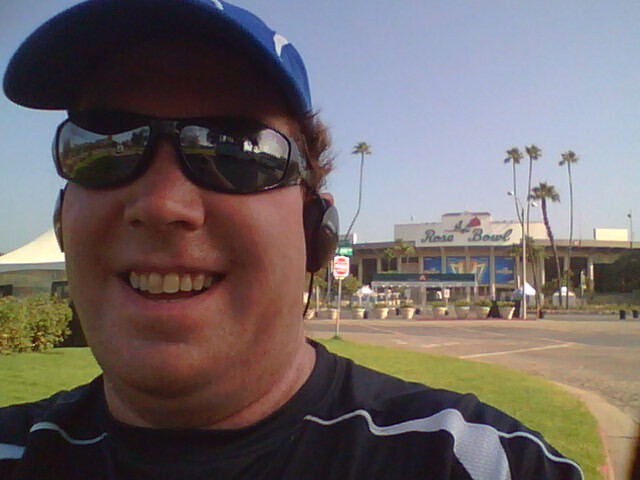 As I was training for that race, I saw that there was a 10K race through the backlot at Universal Studios. I so had to do this race! 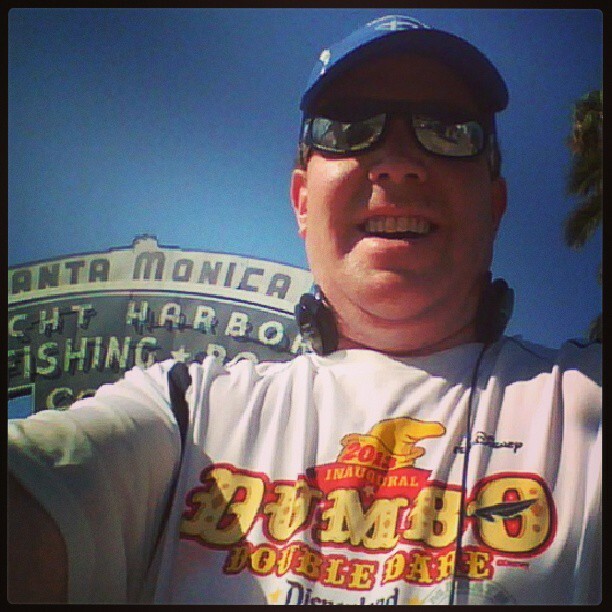 After the finish at Santa Monica, I found excuse after excuse not to work out or run. So, with no training for the 4 weeks between Santa Monica and the weSpark 10K at Universal Studios, I lined up and would finish a slow 10K. To be honest, I’m not sure I could have finished faster on this course because it was a much more difficult course than the Santa Monica race. It was a 5K loop that the 10Kers completed twice. The first and fourth miles were pretty much all downhill. The third and sixth miles were pretty much all uphill (with parts of the uphill at a pretty steep incline). It was the only race I’ve done where I didn’t finish strong. As a matter of fact, I walked across the finish line because my calves kept cramping up when I tried to run. But, I finished. Now, by the time I did these 10K races, I had already signed up for the Tinker Bell Half Marathon in 2013 and the Neverland 5K with my wife. November and December of last year were really difficult months and I did not train at all. During that time, I thought how much I wanted to be a runner. As I’d see people out running, I so wished I was one of them. By January, I was pretty sure that I would not run the Tinker Bell Half. However, a few weeks prior to the races, I finally got back to the gym and put time on the treadmill. Even with that, I was still convinced I wouldn’t attempt the half. However, my wife convinced me that I had to at least try. We had a blast doing the Neverland 5K together! My wife had the same experience I had one year prior and wanted to do more of these 5K’s. For the Tinker Bell Half Marathon, I came up with a few goals and hoped it would carry me to the finish without being swept. You can read the blog I wrote about that race here. Obviously, I finished! 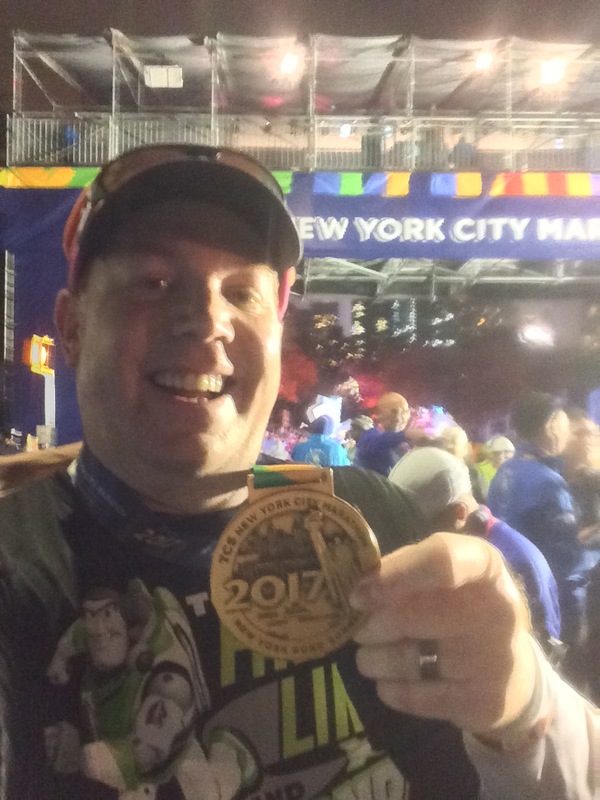 With the success of Tinker Bell fresh on my mind, I stated searching for bloggers who did runDisney races. I thought there might be some and found a whole bunch. As I read the many race reports from the Walt Disney World Marathon Weekend, my interest in running that started with the amazing feeling of finishing a half marathon started growing. The folks at runDisney had come up with a challenge race for the Disneyland Half Marathon happening over Labor Day weekend. My wife and I saw this at the Tinker Bell expo. While we were running the Neverland 5K, she had mentioned how she’d be interested in trying the 10K race that weekend. So, with registration set to go the Tuesday after Tinker Bell, I checked the runDisney site. Unfortunately, I was too late to be able to register for the Dumbo Double Dare. Who would have thought that any runDisney race would sell out in less than an hour. So, as I saw the numbers grow for both the 10K and the Half Marathon, I did a quick calculation to see if we could afford to register right away for these races. I called my wife and asked if she still wanted to do the 10K because I feared that the 10K would sell out by lunch. She said she was up for it and I registered the two of us for the 10K and myself for my second half marathon! By this time, I was getting into full obsession mode. I was reading lots of blogs and articles about running, joined a Facebook group of fellow runDisney enthusiasts, and watched a few movies on Netflix that dealt with running. The Spirit of the Marathon was such an inspirational movie. It was kind of the final nail in the coffin of my decision that I had to run a marathon and after reading the race reports from the WDW Marathon, I knew it had to be at Walt Disney World. Before I knew it, I was registered for my very first marathon and it would be the WDW Marathon 2014! 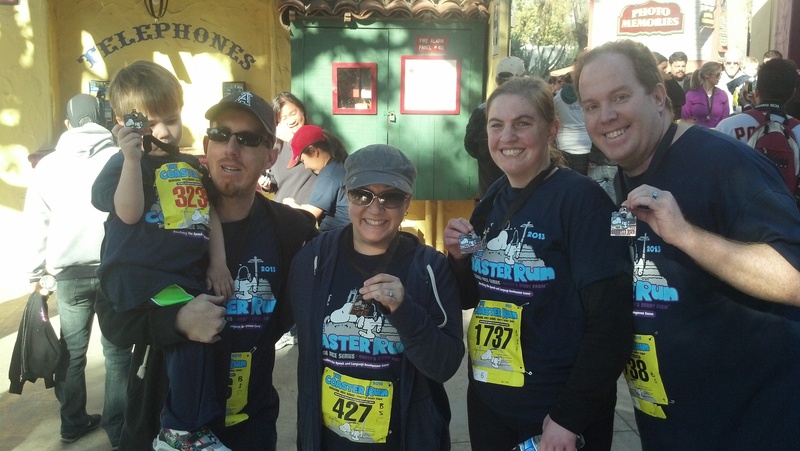 My wife and I would run in the Knott’s Berry Farm Coaster 5K run with some friends. 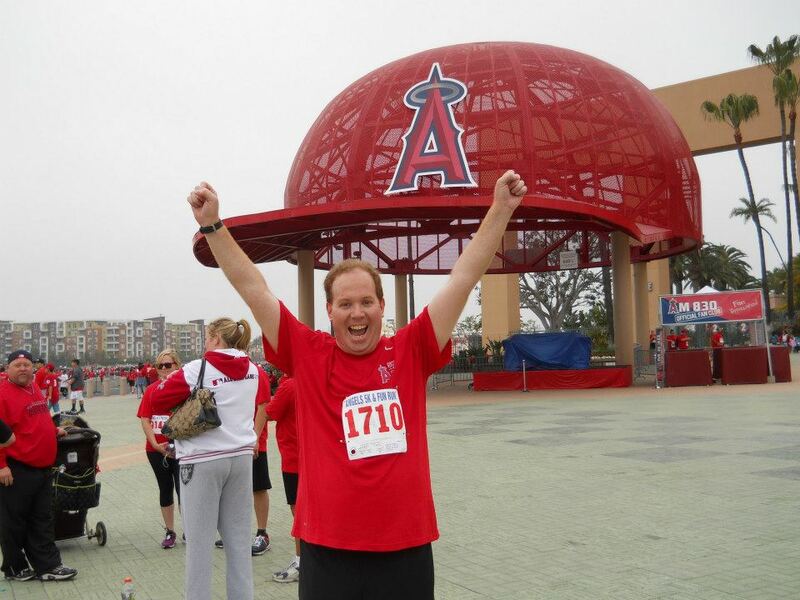 Then, I’d run in the Angels 5K again. My wife would have run with me but was sick that morning and couldn’t go. Then, it was time to properly train for the Disneyland Half Marathon. 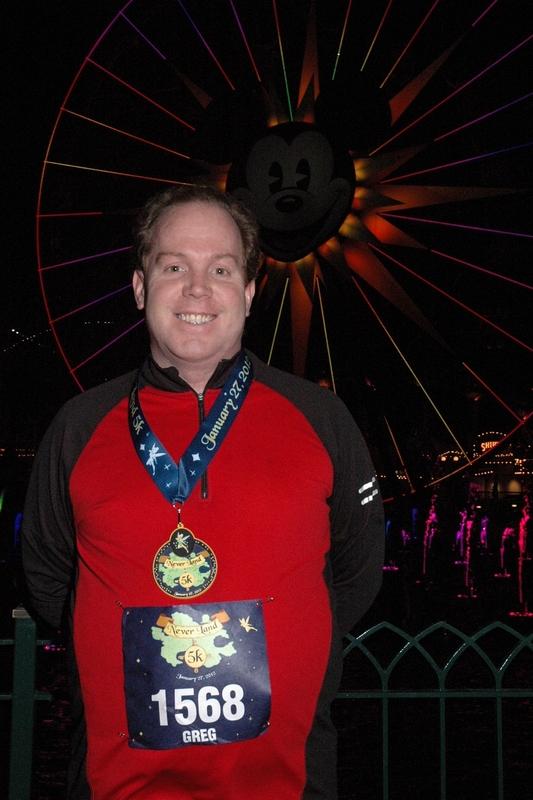 I used the training plan that Jeff Galloway came up with and posted on the runDisney web site. I was so excited to get in on a training program right from the beginning! How much time could I take off from the Tinker Bell Half Marathon? and downs (my 9.5 miles of hades). Would I ever feel like a runner? I know that many bloggers would tell people who you are a runner if you get out and run any distance at all. So, I would tell myself that over and over again. As the distances grew, so did my confidence. 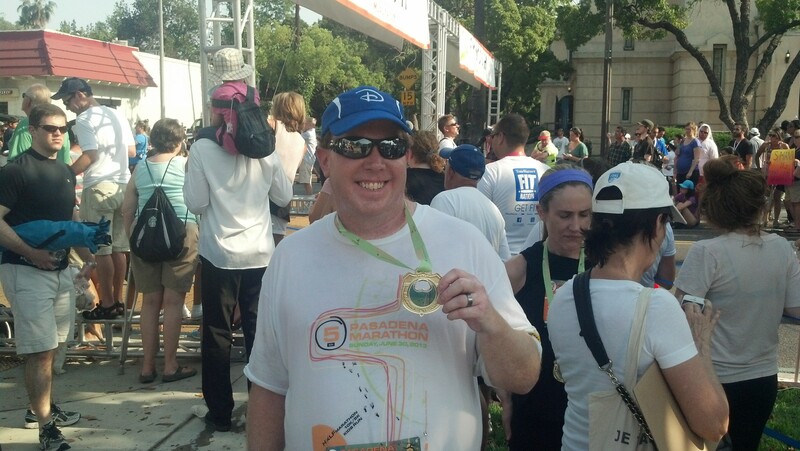 By the end of June, I ran in a race that was part of the Pasadena Marathon again. This time, it was the 10K. By the end, on this very hot day, I had run my fastest 10K race! 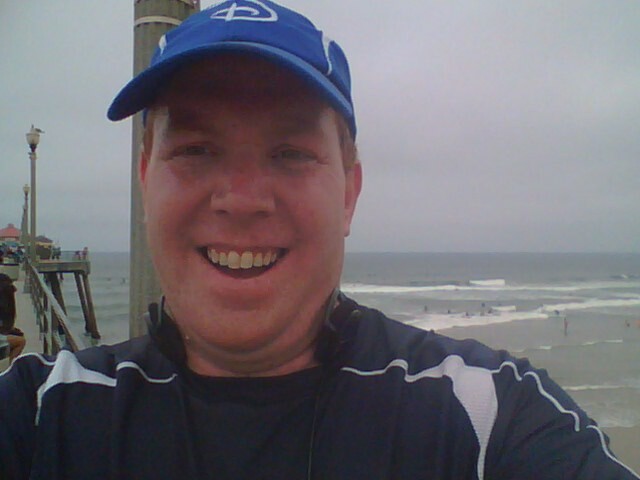 On August 18, 2013, I ran 14 miles at Huntington Beach. For the first time, I was feeling it. The training run was not easy for me. It was a roller coaster ride emotionally. 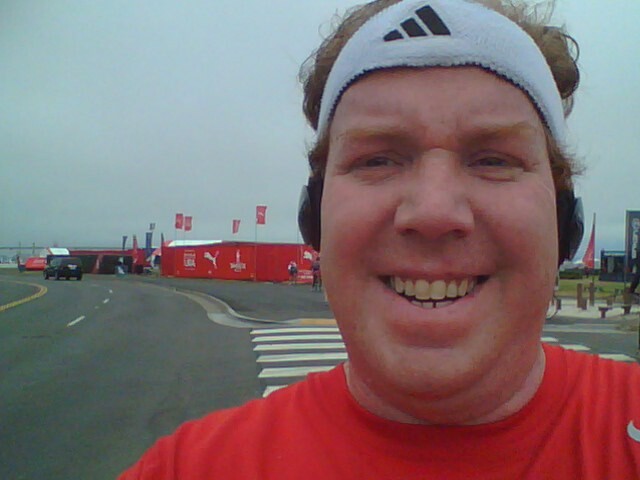 However, when I finished, I was feeling like a legitimate runner! 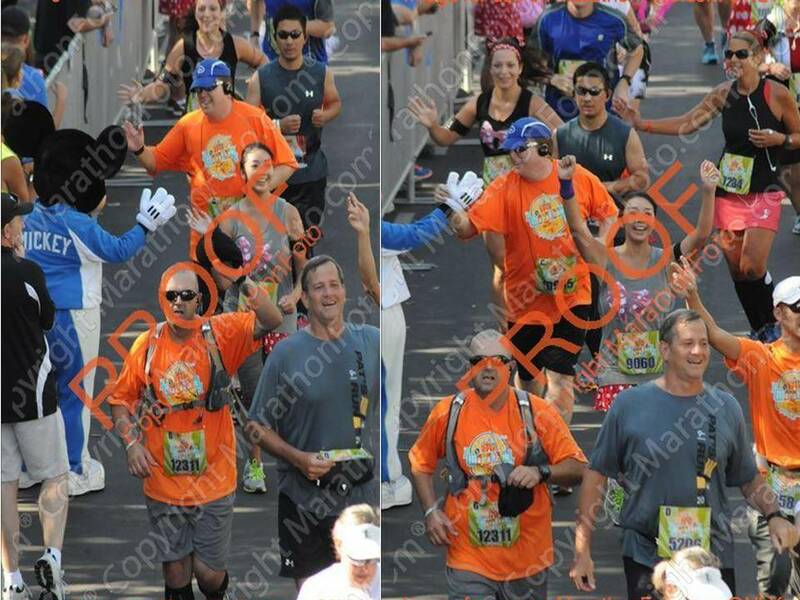 Two weeks later, when I finished the Disneyland Half Marathon, that feeling further solidified. Thank you! It surely has been quite the journey to be come a runner. Now, I’m on a journey to become a marathon runner! that is awesome! I am on the same journey! I am running my first full marathon on January at Disney World! comment 😛 I actually do have 2 questions for you if you tend not to mind.